The Oyo State High Court has adjourned the case instituted by Yinka Ayefele against the Oyo State Government till September 12 for the hearing of applications. At the hearing of the case on Monday, Justice Iyabo Yerima also asked the parties to file the necessary processes before the adjourned date. 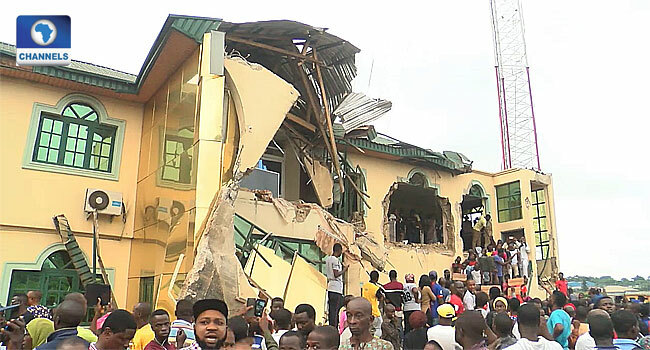 Lead counsel to the State Government in the case, Mr Yomi Alliyu, had, however, claimed that his clients were not aware of and in fact were shocked at the news of the demolition of the claimant’s Music House. He said, “My clients are men of honour that respect rule of law and constituted authority and would have no reason to demolish the said property”. Also, Alliyu had earlier stated that his clients were not served with court processes but later admitted to being served when the presiding judge showed him evidence of actual service on the first and second respondents. He also noted that he had not personally seen the demolished building adding that the pictures on social media could have been doctored. Subsequently, he urged the court to adjourn the case until the claimant was able to file an ex parte motion and serve his clients. He added that filing motion on notice and letter of urgency alone by the claimant was not enough. The claimant’s counsel, Mr Olayinka Bolanle, on the other hand, told the court that the respondents had gone ahead to demolish the structure despite the suit filed to restrain them from executing the demolition notice on the property. “After the defendants had become aware of these proceedings, it is sad and unbelievable my lord, that the defendants in the wee hours of Sunday (August 19) went to the property in dispute and demolished it,” Bolanle said. He then urged the court to stop the defendants from further demolition of the rest of the structure pending the determination of the suit. Subsequently, the case was adjourned.